G.P. — Love can be a confusing emotion. You might love someone with your heart while the mind is telling you that there is someone else you belong to. Or is the kind of love you are getting the same as what you are expressing? It can sometimes be weird but people who go through in life content with what they have do not really completely understand love–they just have already settled and accepted whatever they have. 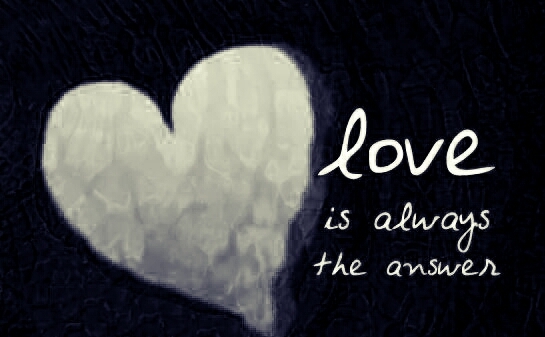 So how do we really understand love? We go through so many things to understand this very complex emotion. We read books, listen to love gurus, and even watch romantic films and TV series, with the latter just confusing us more and do nothing to help us understand what real love is. The TV and movie makers just play on the romantic aspect of love, thereby giving people false hopes and increasing their longings. Some people check out fortune tellers or the cards. They believe that a love tarot reading can sometimes give you a bit of insight as to what to expect from relationships and if there is someone who isn’t right for your life at the moment. The reading won’t deliver all of the results that you have questions about or even give you the answers that you want to hear at times. It can give you an idea as to what to look for in life and some options that you might have to work with so that you can lead a happier life with those you love. One of the things to keep in mind is that this kind of tarot reading isn’t just for romantic relationships or those seeking to go out of an abusive relationship. Many people believe that it can also be used for relationships involving family and friends who you’re close to as well. One common thing that people do when they have a reading done is to hold back vital information that the psychic would need to know about. They do this in order to test the ability of the reader to see if there is any truth to what they are being told. This will reportedly help to see if the reading is legitimate and the reader trustworthy. But in a lot of cases, there could be a bit of apprehension before the reading, making you forget about some of the questions that you want to ask or the information that you want to give to the reader. When the reading begins, people in the field would advise that you need to have an open mind. Don’t expect certain answers or results right away. There will likely be cards involved in the reading that the psychic has been trained to decipher. If you’re open to the answers that you receive, they say that you’ll be surprised about the results that you’ll receive in the reading and how easy it is to talk about your concerns. You need to give the reader a little insight about why you’re there and the history of the relationships that you have questions about so that the reader can guide you in the best way possible, that is, if you are comfortable. Well, I am not really into tarot readings. I am guided by Christian principles and the word of God about love. I try to balance my life and love and career for my overall wellness.